and consider some of the consequences of rapid expansion. Our Senator John Thune recently introduced a bill (SB-19 "Mobile Now Act") to the U.S. Senate that would increase infrastructure (think antennas placed on utility poles throughout the country) to support latest generation technology and its need to support more usage. As the owner of commercial property that is constantly finding its bandwidth capacity strained by heavy usage of mobile devices, I have to welcome some relief in the form of increased access to new generation technology. In general, we have to move in this direction. But I'm sensing a growing problem with this rush to pour on the capacity, and I wish Senator Thune would address it. Thune has taken some substantial money from the communications and electronics industry, to the tune of $731 thousand during the 2016 cycle. The sector was his 4th largest contributor, which makes his political friendliness to the telecom industry explainable. That he unabashedly supports those financial paramours in their pursuit of content control by insisting on the destruction of net neutrality (the principle that service providers should enable users to have free, equal and open access to content, regardless of source) is a long-standing obsession with the Senator. That he's willing to move ahead with adding infrastructure without entirely reassuring his constituents about its possible consequences is somewhat troubling, if not altogether dismaying. About a year ago Scientific American magazine published some findings from a $25 million study conducted by the National Institute of Health that showed clear linkage between radio-frequency radiation and brain tumor formation in lab animals. An NIH spokesman said "I would call it a causative study, absolutely. They controlled everything in the study. It's [the cancer] because of the exposure." This is probably music to the ears of some of the plaintiff lawyers I've known over the years. Of even more compelling interest is the fact that the type of cancer turning up was found in the glial cells of the brains--gliablastoma--the same cancer that recently formed in Senator John McCain's brain. As prolific as cancer studies have been over the past umpteen decades, I've tended to pooh-pooh many of them and go on living as I normally would. The result? Probably the same as it is for most of us: So far, so good, knock wood. There is, however, a twist to this one: namely the liability issue. The State of California is developing a bill similar to the federal legislation that Thune is pursuing and the consideration of financial liability for cellular injury cases is an issue that is being raised there. At the risk of sounding like a Luddite, I think South Dakota has to make sure we're indemnified from liability claims before we start allowing telecom companies to attach antennas to our utility poles. Hey, What About Us Country Folk? Great Teeth, Now What About Healthcare? sank it. Senators Moran, Lee, Paul, and Collins are on the record as opposing this misguided effort at replacing the Affordable Care Act (ACA, also known as Obamacare) for a mix of ideological and substantive reasons, killing the last faint hopes that GOP leadership had for its survival in Congress and ultimate passage with President Trump's signature. Those of us who understand how tough this bill would have been for rural states like South Dakota, which stood to lose billions of dollars in Medicaid if the bill became law, can breathe a bit easier--at least for the time being. The bill's reduction in Medicaid funding to South Dakota--which I calculate to be about $100 million a year over the course of the next few years--would leave a substantial hole in our state's budget. This is an issue that has had rural medical providers seriously concerned and seems to be what prompted three of the aforementioned naysayers to turn thumbs down on it. Maggie Elewhaney, speaking for the National Rural Health Association, says the bill would "exacerbate the rural hospital closure crisis." The Kaiser Family Foundation notes that Medicaid is an essential component of rural healthcare, where the proportion of Medicaid recipients is higher than in urban areas. According to Kaiser, rural areas actually had net gains in coverage under the ACA. Those gains, and then some, would be given up by the GOP bill. I never saw an explanation from any of our Congressional reps as to how they expected South Dakota to deal with the substantial drop in Medicaid funding that would affect their rural constituents. I'd be especially interested in Congresswoman Noem's take, considering her aspirations for Governor in the coming election cycle. I doubt that demand for medical services would decline, so somebody, somewhere, somehow in South Dakota would have to make up the difference. As there's general agreement that some aspects of ACA (premium increases and loss of insurers, particularly) need fixing, our reps need to explain how their proposed fix, cutting back on rural healthcare in this quintessentially rural state of ours, is a good thing for South Dakota. Why Didn't Governor Daugaard Become A Welder? After All, It's A Good Trade And It Pays Well. Does Daugaard Know About This? ago, South Dakota "has a shortage of skilled workers" that "limits businesses' ability to grow." As an employer in this state I can--along with probably every one of my peers--vouch for that indisputable fact. We need more skilled workers in South Dakota, period. I appreciate that Daugaard is approaching the problem head-on by focusing on programs that will give our high school students some direct job-based training opportunities before they graduate. No doubt many of these young people will learn skills that will do them and their communities a lot of good. But admirable as our Governor's intentions are, there are two problems with them. The first of those has to do with the overall structure of economic and living conditions in South Dakota, which have to create an environment that attracts highly skilled workers in the first place. 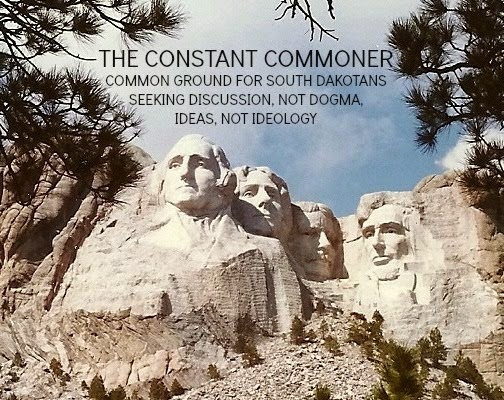 Wages top that list of conditions, and on that front, South Dakota's ranking is awful. Daugaard is focusing on the supply of skilled labor while ignoring the weakness of demand for it. Per an analysis in the Argus-Leader last year, hourly wages here are fifth-lowest in the nation. More troubling is the trend: adjusted for inflation, South Dakota wages last year dropped .3 percent while the average nationally rose by 1.6%. The old canard about tut-tutting that persistent differential by claiming South Dakotans have a lower cost of living has long-since been discredited by the facts. The Council For Community And Economic Research, whose data is developed in conjunction with the U.S. Census Bureau, ranked South Dakota's cost of living during the first quarter of this year as virtually identical to the national average. The fact is, our workforce is seriously underpaid compared to the rest of the country's, a fact that Daugaard either ignores or refuses to address. The second problem with Daugaard's approach is more troubling to me because of its built-in development of a calcified workforce. That may have worked in the 20th century, but nowadays we regularly see the unfortunate destinies of workers with skills that are no longer needed. Factory workers in particular are being regularly displaced by robots. Educated young people need to know how to deal with a world that will value their skills one day and disdain them the next. The ability to analyze, think, and adjust is just as important as any specific job specialty, and those qualities can be developed and nurtured in our public schools. His good intentions notwithstanding, it would be nice to see Governor Daugaard place as much emphasis on intellectual development as he does on vocational training.